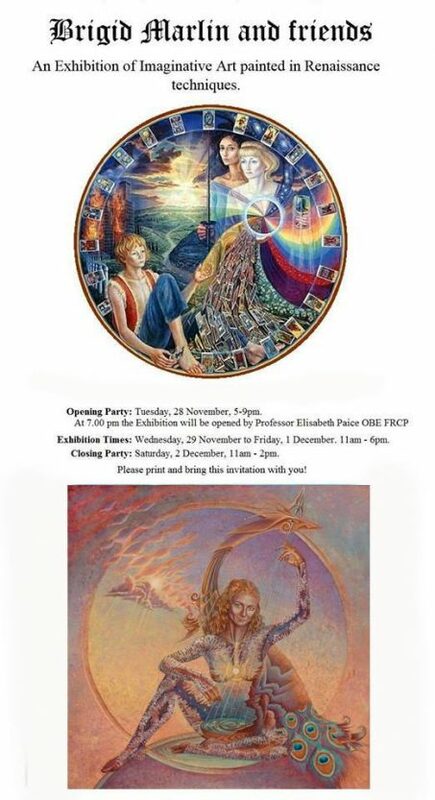 Brigid Marlin & Friends, 28th Nov-2nd Dec, hosted by the Worshipful Company of Bakers, in central London. An exhibition of Imaginative Art painted in Renaissance Techniques . I will be presenting my new painting ” Brigid of the Bright Arrow ” inspired by the Pagan Goddess.